Maru Mora-Villalpando, 47, supports immigrants detained at the privately run Northwest Detention Center in Tacoma. U.N. human-rights experts have called on the U.S. to protect Mora-Villalpando from deportation. An immigrant-rights advocate targeted for deportation first came to the attention of authorities because she discussed her unlawful status in the country in an interview with a monthly newspaper last year, a U.S. Immigration and Customs Enforcement official wrote in a newly released document. But the official, Timothy Black, also noted her “extensive involvement with anti-ICE protests and Latino advocacy programs” — something her supporters said proves she was targeted for political reasons. 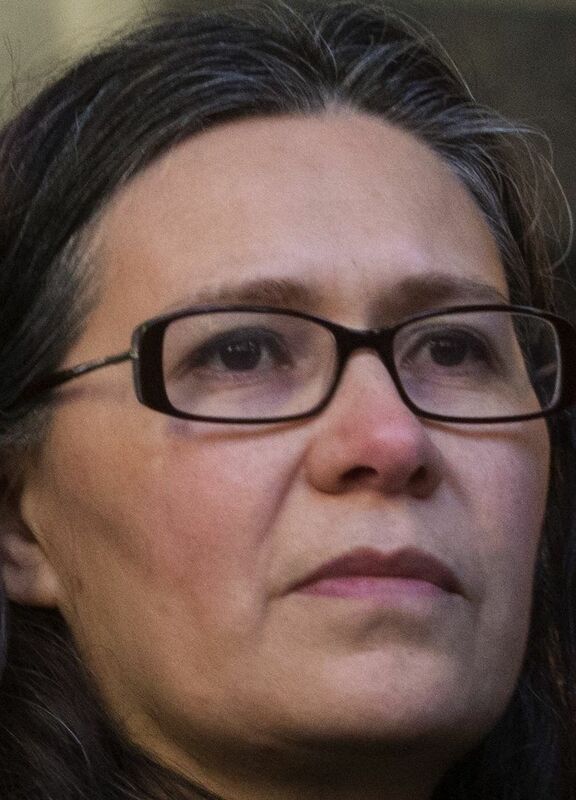 Maru Mora-Villalpando, a 47-year-old Mexico City native and activist supporting immigrants who are detained at the privately run Northwest Detention Center in Tacoma, has no criminal record. She has been in the U.S. continuously since 1996 after overstaying a visa. She first came out publicly as a person in the U.S. illegally in 2014, when she expected to be arrested — and subsequently deported — for joining others in blocking a road at the detention center. She was not arrested, however, and did not receive a notice to appear in immigration court until last December. Pro-immigration advocates around the country have accused ICE of retaliation by deportation, pointing to cases like that of Eliseo Jurado, the husband of an immigrant activist in Boulder, Colorado, who sought sanctuary from deportation in a church. Ravi Ragbir, a citizen of Trinidad and Tobago who leads the New Sanctuary Coalition of New York City, is facing deportation after being arrested Jan. 11 during a routine check-in with immigration officials. Earlier this month, United Nations human-rights experts called on the U.S. to protect Mora-Villalpando and other activists from deportation, saying advocates for migrants’ rights must not be silenced. ICE has repeatedly denied any political motives and called such allegations “irresponsible, speculative and inaccurate.” In an emailed statement, spokeswoman Lori Haley said Monday that “target information is based on intelligence-driven leads,” which may include publicly available information. “U.S. Immigration and Customs Enforcement does not target unlawfully present aliens for arrest based on advocacy positions they hold or in retaliation for critical comments they make,” the statement said. Mora-Villalpando and her lawyer tried to obtain a standard ICE form explaining the reasons she was being placed in removal proceedings, but the agency ignored her public-records request, she said. Mora-Villalpando said she finally received a copy with the help of Washington Democratic Sen. Maria Cantwell. “Law enforcement should not be allowed to target anyone in our country for their political activism,” Cantwell said in an emailed statement Monday. Seattle immigration attorney Devin Theriot-Orr, a supporter of Mora-Villalpando, said he believed the officer’s statement amounted to an admission that ICE violated her free-speech rights, and that it could be used in immigration court to defeat the agency’s effort to deport her.